The federal territory of the Northern Territory lies in the central northern region of mainland Australia and is a region of beauty and breathtaking scenery. The Northern Territory holds less than half the population of the island of Tasmania despite being five times the size, which is why you’ll find so many wide open spaces and stunning natural landscapes here. This region is home to uncharted areas of wonder and red havens hidden amongst the famous tourist destinations of Darwin and Uluru. 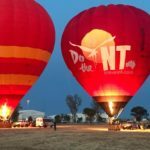 No matter where you visit, those looking for gift experiences or things to do in the Northern Territory will not have to look far. Go on an outdoor adventure or experience the ancient culture of the local Indigenous Australians. A trip through the famous outback is a surreal experience and a visit to Ayers rock is on many a bucket list. 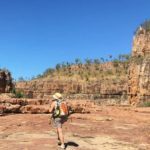 The great thing about the Northern Territory is that no matter how long your stay or where you go, it’s captivating in its exciting landscape and home to plenty of adventures. NT’s capital city, Darwin is a metropolis that offers plenty of things to do and fun activities for the whole family. Some of the most popular things to do in Darwin is to visit Charles Darwin national park, head to Mindil beach to soak up the sun or spend an afternoon at the museum and art gallery of the Northern Territory to see spectacular examples of rock art. The city itself is fast-growing and has a personality that you won’t find anywhere else in Australia. Whether you want to stay in the city or venture out for the day, you’ll find plenty to do in Darwin and surrounds. This beautiful area is a must-see for anyone visiting NT. With unbelievable natural landscapes and plenty of outdoor and adventure experiences, it’s sure to have something for everyone. 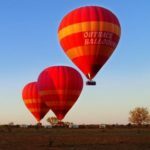 You can take it in from above on a hot air balloon flight or stay on the ground and visit Rainbow Valley or the Finke George National Park. Of course, no trip to this area would be complete without a visit or tour of Uluru, which is sure to take your breath away. Adventurers will love the 4WD tracks and pristine camping opportunities, as well as cultural ancient art in the area. If you love the outdoors there are plenty of activities and things to in Alice springs and Central NT. Australia’s Northern Territory is home to some of the most spectacular and iconic scenery in the world and certainly does not disappoint nature lovers, cultural enthusiasts or outdoor adventurers. Whether you’re staying in Darwin or venturing into the outback there are so many sights to see and things to do in this beautiful state.